Welcome to our website and thank you for your interest in our services. We have been in business since 2009. We offer cars and ldv's on take over to bank declined clients countrywide - no matter where you stay, we can assist you. The vehicles are available nationwide. 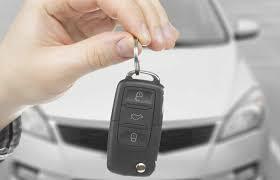 Once you paid the final installment, ownership of the vehicle is transferred to you. We specialize in helping people with challenged credit. Throughout the years, we have helped many customers establish or re-establish new credit. Our leasing program is very unique because there is NO CREDIT CHECK for approval. Your credit history doesn’t matter. We approve good, bad, and ugly credit. As long as you meet our easy requirements, you’re approved. Please do not apply if you do not have your relevant funds available or are not serious about rent to own a vehicle. We really don't have the time and energy any more for time wasters!